Update: Today is the last day to apply for select Starwood and Marriott cards as described below. Sadly the cards have long since turned into a pumpkin for spending, but the welcome bonus and anniversary night are still valuable. Marriott Bonvoy becomes the new program name tomorrow and all Starwood/SPG branding will be eliminated. 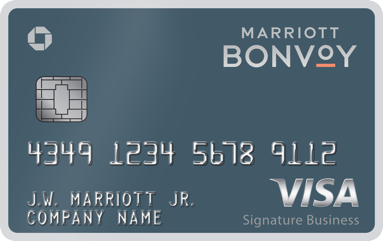 Marriott is rebranding to Marriott Bonvoy on 2/13 and will be shaking up their credit card lineup on the same day. The Starwood Consumer AMEX will be discontinued after 2/12/19 and will no longer be available for new applications. 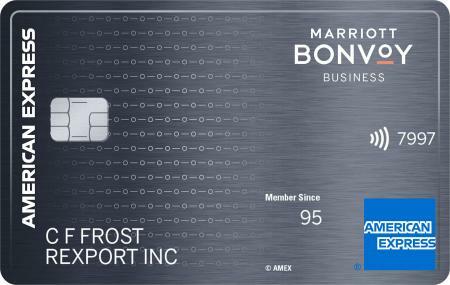 Existing cardholders can continue to use their cards and it will be rebranded as the Marriott Bonvoy American Express Card. Welcome bonus: 75K Marriott points for spending $3,000 in 3 months. 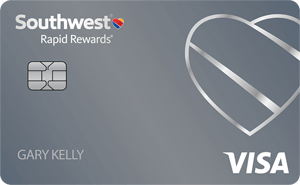 Welcome bonus terms: You won’t get the welcome bonus on this card if you have ever had a Starwood Consumer AMEX or if you have or had an active Chase Marriott Consumer card or a Chase Ritz card in the last 30 days. Effect on other welcome bonuses: You won’t be able to get the bonus for a Chase Marriott Consumer or Business card in the future if you have this card active or had it in the past 30 days. 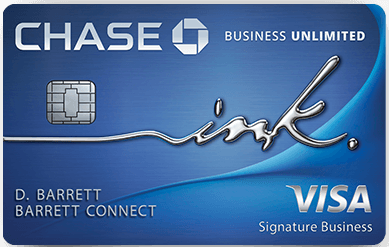 You won’t be able to get the bonus for a Chase Marriott Consumer or Business card in the future if you were approved for this card in the past 90 days. You won’t be able to get the bonus for a Chase Marriott Consumer card if you received a bonus on this card in the past 24 months. Annual fee: The $95 annual fee is waived for the first year and will continue to be $95 in subsequent years. 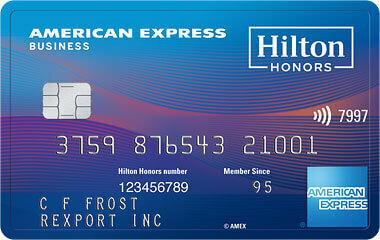 Card earnings: This card earns 2 points per dollar everywhere and 6 Marriott points per dollar at Marriott hotels. Promo earnings: If you had this card prior to 1/23/19, you will soon be able to register to earn 25K bonus points for every $25K spent between 2/24/19-12/31/19, up to 100K bonus points. Anniversary night: You will receive a free night upon every card anniversary valid at hotels that cost up to 35K points. If you use it at a category 5 hotel costing 35K points then your $95 annual fee will be a bargain as that would be like buying 35K points at a cost of just 0.27 cents per point. Anniversary nights expire 12 months after they post to your account. Elite status: This card offers Silver Elite status, free premium in-room WiFi, and worldwide Boingo WiFi. If you spend $35K/year you will earn Gold elite status. You will get 15 elite night credits for having the card. You can only get 15 night credits per year, regardless of how many different Marriott cards that you have. Welcome bonus: Currently you can signup and get 75K Marriott points for spending $3,000 in 3 months. 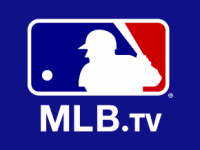 From 2/13-4/24 you can signup and get 100K Marriott points for spending $5,000 in 3 months. Welcome bonus terms: You won’t get the welcome bonus on this card now or after the rebranding if you have ever had a Starwood Business AMEX, or if you have or had an active Chase Marriott Business card in the past 30 days, or if you signed up for a Chase Marriott consumer card in the past 90 days, or if you received a signup bonus on a Chase Marriott consumer card in the past 24 months. Effect on other welcome bonuses: You won’t be able to get the bonus for a Chase Marriott Consumer or Business card in the future if you were approved for this card in the past 90 days. You won’t be able to get the bonus for a Chase Marriott Consumer or Business card if you received a bonus on this card in the past 24 months. Annual fee: The $95 annual fee is waived for the first year. The annual fee will increase to $125 starting on 3/28/19 for new and existing cardholders. Card earnings: This card earns 2 points per dollar everywhere, 4 points per dollar at U.S. restaurants, at U.S. gas stations, on wireless telephone services purchased directly from U.S. service providers, and on U.S. purchases for shipping, and 6 Marriott points per dollar at Marriott hotels. Anniversary night: You will receive a free night upon every card anniversary valid at hotels that cost up to 35K points. Anniversary nights expire 12 months after they post to your account. Bonus night: Starting on 3/28, if you spend $60,000 in a calendar year you will receive an additional free night within 8-12 weeks of completing the spend requirement. The free night is also valid at hotels that cost up to 35K points. Bonus nights expire 12 months after they post to your account. Welcome bonus terms: You won’t get the welcome bonus on this card now or after the rebranding if you have ever had a Starwood Luxury AMEX, or if you have or had an active Chase Ritz card in the past 30 days, or if you signed up for a Chase Marriott consumer or business card in the past 90 days, or if you received a signup bonus on a Chase Marriott consumer or business card in the past 24 months. Annual fee: $450. This will remain the same after the card is rebranded. Statement credit: Earn up to $300 in statement credit per cardmember year for spending at Marriott hotels. Property credit: Starting on 3/28, you can book the $100 Property credit rate at Ritz-Carlton or S. Regis hotels and receive a $100 property credit on 2+ night paid stays. Lounge membership: Unlimited lounge visits for you and up to two guests per visit with Priority Pass Select membership, which offers access to over 1,000 airport lounges around the world. Global Entry/Pre-Check credit: Receive a credit for Global Entry/Pre-Check fees every 4 years. 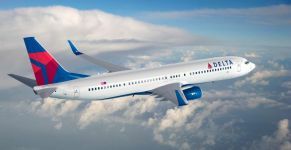 Card earnings: This card earns 2 points per dollar everywhere, 3 points per dollar on U.S. restaurants and flights booked directly with airlines, and 6 Marriott points per dollar at Marriott hotels. Anniversary night: You will receive a free night upon every card anniversary valid at hotels that cost up to 50K points. Elite status: This card offers Gold Elite status, free premium in-room WiFi, and worldwide Boingo WiFi. If you spend $75K/calendar year you will earn Platinum elite status. You will get 15 elite night credits for having the card. You can only get 15 night credits per year, regardless of how many different Marriott cards that you have. 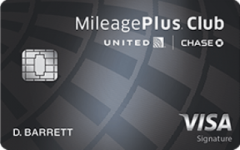 The Chase Marriott Premier Plus Consumer Card will continue to be offered. 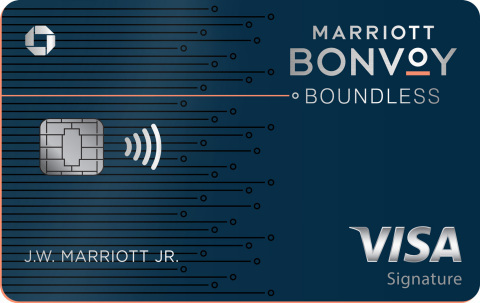 It will be rebranded as the Marriott Bonvoy Boundless Credit Card. Welcome bonus: Currently you can signup and get 75K Marriott points for spending $3,000 in 3 months. Starting on 2/28 for a limited time only you will be able to signup and get 100K Marriott points for spending $5,000 in 3 months. Welcome bonus terms: You won’t get the welcome bonus on this card now or after the rebranding if you received a bonus on a Chase Marriott consumer card in the past 24 months, or if you have or had an active Starwood AMEX Consumer card in the past 30 days, or if you were approved for any Starwood AMEX card in the past 90 days, or if you received a signup bonus for a Starwood Luxury or Business card in the past 24 months. Effect on other welcome bonuses: You won’t be able to get the bonus for a Starwood Consumer AMEX if you have this card or had it in the past 30 days. 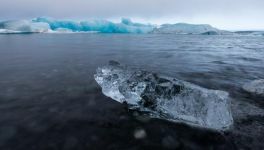 You won’t be able to get the bonus for a Starwood Luxury card or Starwood Business AMEX if you were approved for this card in the past 90 days or if you received a bonus on this card in the past 24 months. Annual fee: $95. This will remain the same after the card is rebranded. Anniversary night: You will receive a free night upon every card anniversary valid at hotels that cost up to 35K points. Elite status: This card offers Silver Elite status and free premium in-room WiFi. If you spend $35K/year you will earn Gold elite status. You will get 15 elite night credits for having the card. You can only get 15 night credits per year, regardless of how many different Marriott cards that you have. The Chase Marriott Premier Plus Business Card will be discontinued after 2/12/19 and will no longer be available for new applications. Welcome bonus terms: You won’t get the welcome bonus on this card if you received a bonus on a Chase Marriott business card in the past 24 months, or if you have or had an active Starwood AMEX Consumer card in the past 30 days, or if you were approved for any Starwood AMEX card in the past 90 days, or if you received a signup bonus for a Starwood Luxury or Business card in the past 24 months. Effect on other welcome bonuses: You won’t be able to get the bonus for a Starwood Business AMEX if you have this card or had it in the past 30 days. 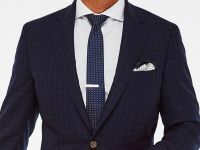 You won’t be able to get the bonus for a Starwood Luxury card if you were approved for this card in the past 90 days or if you received a bonus on this card in the past 24 months. Annual fee: $99. This will remain the same after the card is rebranded. Card earnings: This card earns 2 points per dollar everywhere, 4 points per dollar at gas stations, restaurants, shippings, internet, cable and phone service purchases. 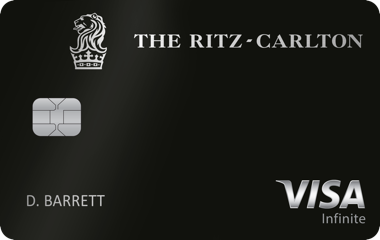 The Ritz-Carlton Rewards Credit Card will drop the name “Rewards” from its name. Welcome bonus: This card has been closed to new applications since last July. Property credit: Starting in April, you can book the $100 Property credit rate at Ritz-Carlton or S. Regis hotels and receive a $100 property credit on 2+ night paid stays. Lounge membership: Unlimited lounge visits for you and unlimited guests with Priority Pass Select membership, which offers access to over 1,000 airport lounges around the world. Upgrade your stay three times annually on paid stays of up to seven nights at Ritz-Carlton hotels. Get $100 off air travel when you book 2 or more passengers. Elite status: This card offers Gold Elite status and free premium in-room WiFi. If you spend $75K/calendar year you will earn Platinum elite status. You will get 15 elite night credits for having the card. You can only get 15 night credits per year, regardless of how many different Marriott cards that you have. 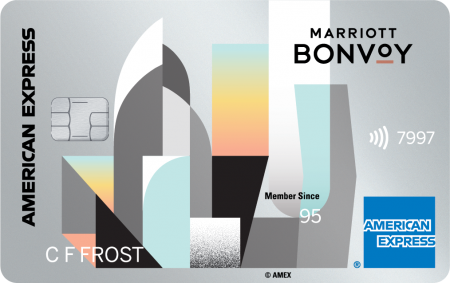 Chase will also be releasing a no annual fee Marriott Bonvoy card this summer. Which Marriott cards do you have and which will you be signing up for? 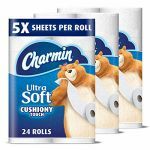 66 Comments On "Roundup Of Benefits And Tomorrow’s Changes For 7 AMEX And Chase Marriott And Starwood Cards; Last Chance For An SPG Card!" Can’t hurt to ask, but don’t count on it. Can you upgrade a regular spg card to the luxury card? Yes, but you would not get a welcome bonus for that. If I have a starwood consumer and business, what CAN i sign up for? If I’ve never had any of these cards, is it best to apply now for the SPG or wait for a higher points offer? Isn’t there a no annual fee card that is supposed to come out? Wonder what the benefits of that are. I don’t put any spend on the card anyway, so if it at least comes with 15 nights may be worth downgrading a card to it. can the platinum status be matched to united? Where is the link to get the bonus for spending 100k for current Starwood cardmemebers that you mentioned in the other post? It’s not really a $100 credit as it’s only applicable when you use a special rate code on a paid stay. -You don’t let the nights expire after a year. 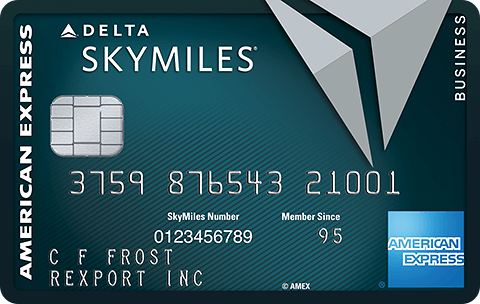 With 100K actual points you can use the points for airline miles, or for hotels in higher categories, or just hold onto the points for later use. 3 nights is not a good offer. I currently have both Amex Bus SPG and Chase personal Marriott so essentially I will NOT qualify for the Luxury card bonus correct? They are very different cards with very different benefits. AMEX Starwood Luxury unless you close the consumer SPG. The Luxury card is a premium consumer card. 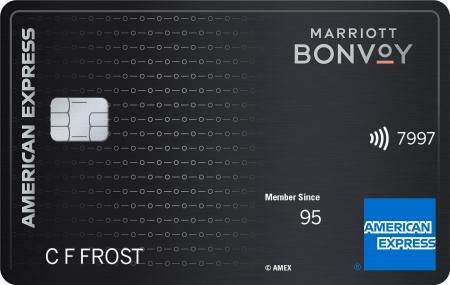 I don’t see any Marriott non-premium consumer cards from AMEX anytime soon. 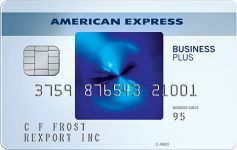 can you get the bonus for both the amex consumer and business cards within 90 days of each other? Seems like I should sign up for Marriott Business before 2/12 and to Marriott Consumer after 2/28. Did I get it right? Do you have any SPG/Marriott cards currently? Amex closed all my good long standing accounts, including personal accounts, for a silly reason (returned payment on a separate business card which was repaid in full soon after). My gut tells me it because I stored them in my sock drawer since the August earning devaluation of SPG, and their worthless other cards comparing to Chase quinfecta, What’s your thoughts on that? Should I put more activity now on my wife’s cards? It’s good to have activity every now and then, but the shutdown is definitely due to the returned payment. That is a massive red flag. Oh I didn’t know that, even worse than a missed payment? Yeah, they view the act of writing a bad check as much more likely done intentionally and an act of desperation from someone who doesn’t have the ability to pay as opposed to missed payment which is much more likely due to forgetfulness etc. What is a returned payment? That means he made a payment to his credit card from a bank account, but the payment was returned because there was not enough money in the account to cover it. a random question can elal earn miles on aerolineas argentineas? more then using quantas? thanks? What is 15 elite night credits? I heard the SPG business card annual fee will be $125. Is that only on new accounts? nevermind, just read the post. Too many options. I might just close the SPG business card. 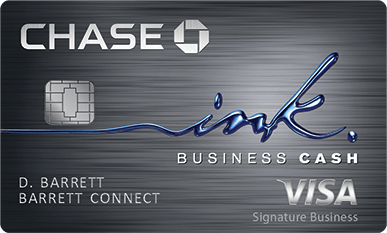 Other than Chase, what small business cards are best to maximize hotel points? The ritz had the best feature of upgrades which is disappearing off all future cards offered. They are rebranding a new card that was offered only after the merger the luxury card. And they have rebranded the elite statuses yet again since the merger. I already have a spg, and spg business amex. so i should apply for these new cards (and get sign up bonuses)? or i will automatically be transferred to the new cards? Dan, I upgraded my Marriott consumer Credit card to the Marriott Premier Plus and got a bonus of 50K a few month ago. Does an upgrade bonus count? Can I still receive any sign up bonus on any new cards and which ones? Dan, thanks for the very helpful post. If I currently have Chase Marriott consumer card (which I opened more than 2 years ago), can I close the card and then re-apply once the February 100K promotion starts? 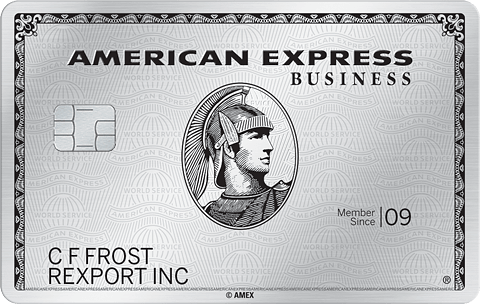 If I have the Amx Silver Platinum Business Card and mostly use my points for travel in the US using Jet blue with the 35% discount and don’t exceed the max for this discount…Is there any good reason to still hold on to the Amex SPG Businesses card which I currently have? Is it worth it to upgrade from regular Marriott Visa to Premier Plus for $200 statement credit after spending $3000? (obviously annual fee goes up to $95, you get annual 35k hotel night instead of 25k level, and 2x on regular spend). Me and my spouse have each a spg business CC, I would like to transfer all spg-Marriott points to my spouse and close my spg. Is their a way how this can be done? am i able to apply for the Marriott Business card, now? I came to the usa a couple of years ago and got a secured credit card. I pay my bills on time. Now its a regular cc but w no benefits. They raised my limit. Now im looking for my first benefit producing cc. Mostly im looking to fly to Israel so emirates, singapore airlines, etc dont help. Miles, transfers, whatever. 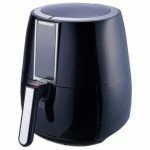 Im mystified by the workings. Can anyone help me chose the right cc? Probably United Explorer from Chase is a decent option to start with. It doesn’t require as stringent credit review as Ultimate Rewards cards. 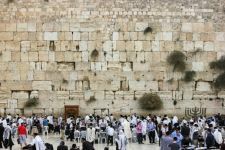 It gives you United miles to get to Israel and it opens up more award availability to you as a cardholder. Economy seats are often available, especially with the card. You will also have access to partner awards. The Ritz card has, until now, included platinum premier elite (which is bonvoy titanium) when you spend $75k. Is that benefit changing to just regular platinum status?? That would stink. Is there any reason to keep BOTH the SPG and Marriott cards I currently have? If not; which would you drop? Anniversary night doesn’t justify 2 AF’s for me. TY! Just tried applying for spg consumer card for my wife and they told me I wouldnt receive the welcome offer. She never had this card yet and last marriot sign up bonus she received was over 2 years ago and I closed that card a year ago already. Anyone else have this? Is it worth a try to get bonus again ? Or no Chance ? hello, i dont have any starwood or marriot cards. i wanted to know whats the best card to get? also you wrote if you spend 35k a year on first card you get gold elite status which gives “15 elite night credits”.What does this mean? Dan, Question i have the chase Marriott Business card back in May 2018 and now applied and approved for Marriott Bonvoy Business American Express Credit Card will i get the bonus ?